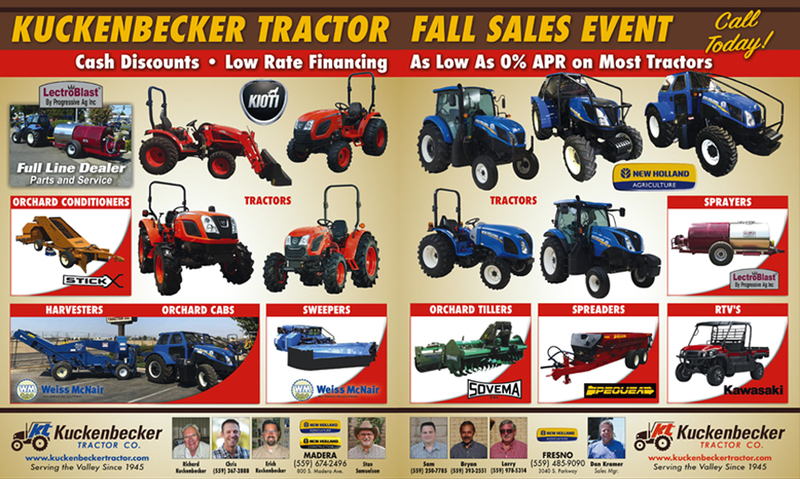 Kuckenbecker Tractor Co. » Fall Sales Event! Kuckenbecker Tractor Fall Sales Event! Full Line of New Holland and Kioti Tractors, Full Line Lectroblast Dealer, Orchard Conditioners, Harvesters, Orchard Cabs, Sweepers, Orchard Tillers, Spreaders, RTVs, sprayers and more! Cash Discounts, Low Rate Financing, As Low As 0% APR on Most Tractors.